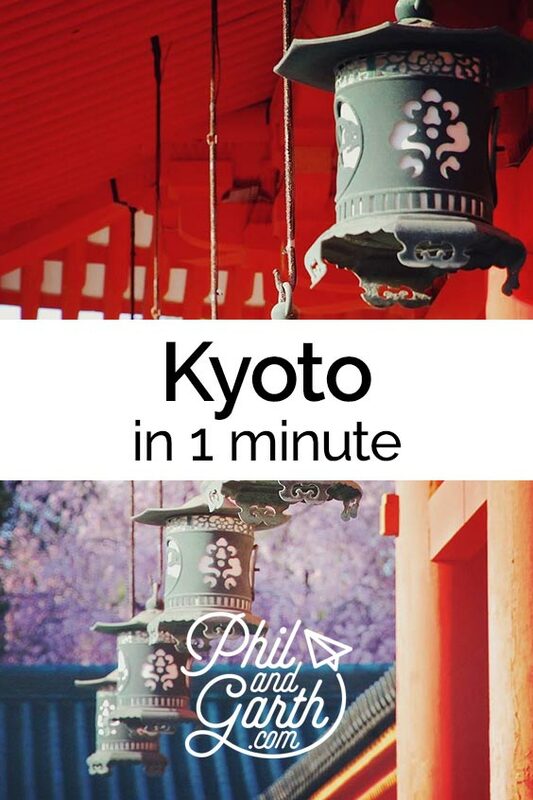 If you are visiting Japan then you have to see Kyoto, for a glimpse into the country’s former capital. 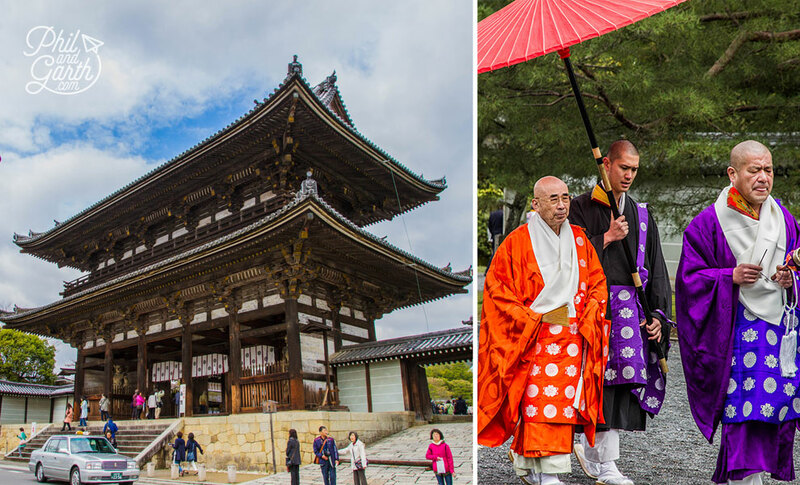 There are hundreds of Buddhist temples and Shinto shrines all over Kyoto. Shrines and temples are characterised by their entrances – a ‘Torii’ gate for shrines and a ‘Sanmon’ gate for temples. There’s also an abundance of Japanese gardens which being a keen gardener, was one of the main things I wanted to see. We went in April in time for Cherry blossom season, which luckily we timed it just right, it can hit or miss by just one week. 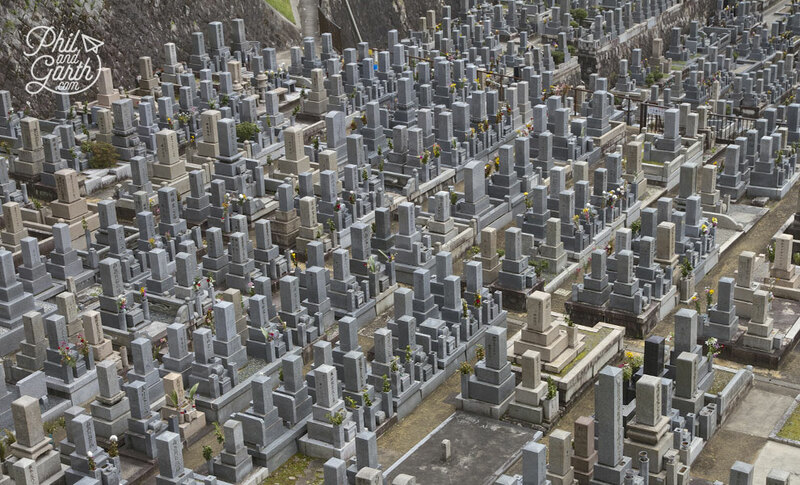 the Japanese take cherry blossom or “sakura zensen” viewing very seriously! We had 3 nights in Kyoto and hired a private guide, Yoshiko from Kyoto Travel Agency for our first day of sightseeing. Oh my goodness we have nothing but admiration for Yoshiko, she was so knowledgeable and turned our requests of what we wanted to see including garden design and temples, into an amazing packed day. 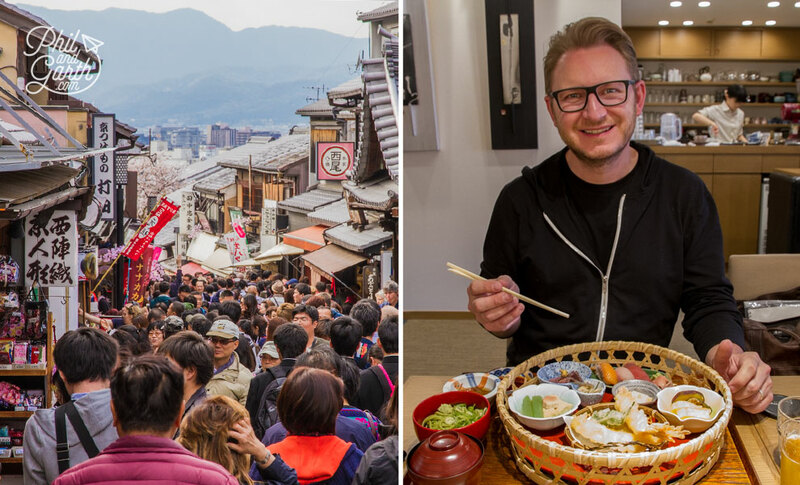 It’s just so good being with a local, Yoshiko was so happy and proud to share her favourite things and knowledge of Kyoto, and handled all our curveball questions with ease. 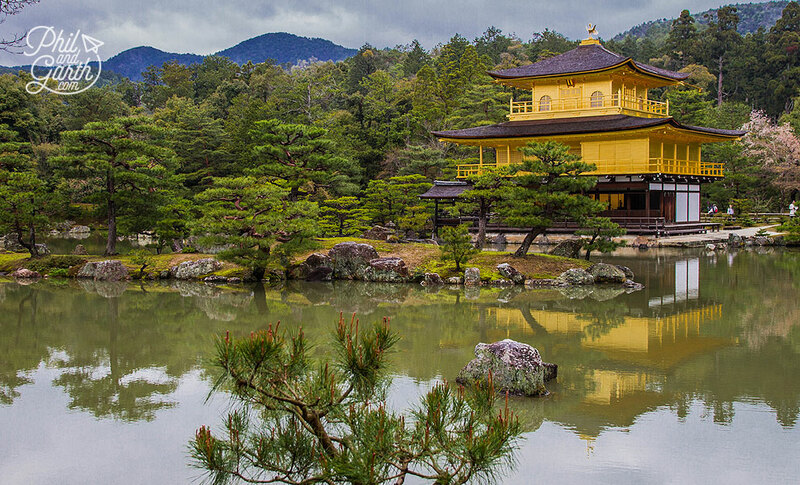 Kinkaku-ji Temple or better known as The Golden Pavilion is Kyoto’s most popular temple to visit, and it’s easy to see why. It’s a UNESCO World Heritage Site and despite the large crowds, don’t worry as you’ll get a clear view and the temple is truly breathtaking. The Golden Pavillion, a Buddhist hall contains relics of Buddha, it’s adorned in gold leaf, and with its reflection in the water – a must see sight. The setting in its beautiful gardens was the highlight for us, as you are transported back in time, and can appreciate how it was hundreds of years ago. 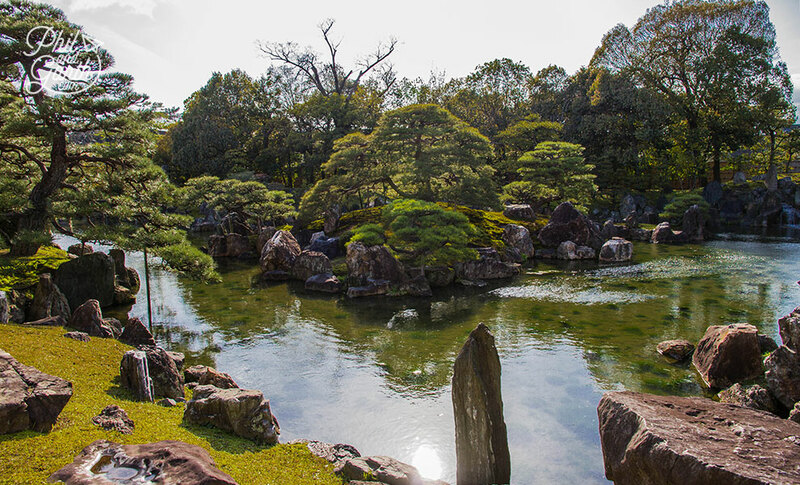 The garden uses the Japanese ‘borrowed landscape’ technique called shakkei, which integrates the inside of the garden with the outside, giving the illusion it’s much bigger in appearance. The garden also employs the ‘strolling garden’ design, built around the central pond, designed to give you the best views on a circular trail. Famous for it’s Rock Garden dating back to 1500. 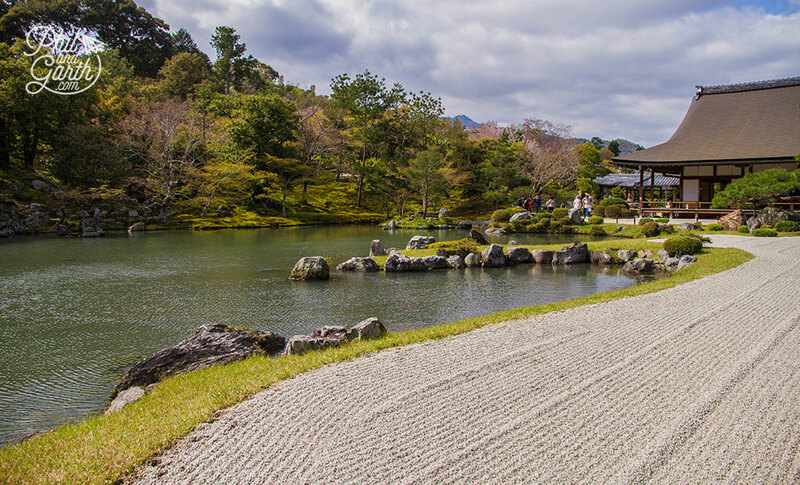 It’s a Zen temple featuring a Japanese dry stone garden, which Yoshiko said was the most famous in the whole of Japan. White gravel is used and raked in patterns to suggest the illusion of water and helps calm your mind to interpret the garden’s abstract concepts. Amongst the gravel are 15 rocks which depending where you sit you never see all 15 at once, only 14. So in Buddhism it tell you to open your mind as there’s always more to see, if you achieve enlightenment you will see all 15! 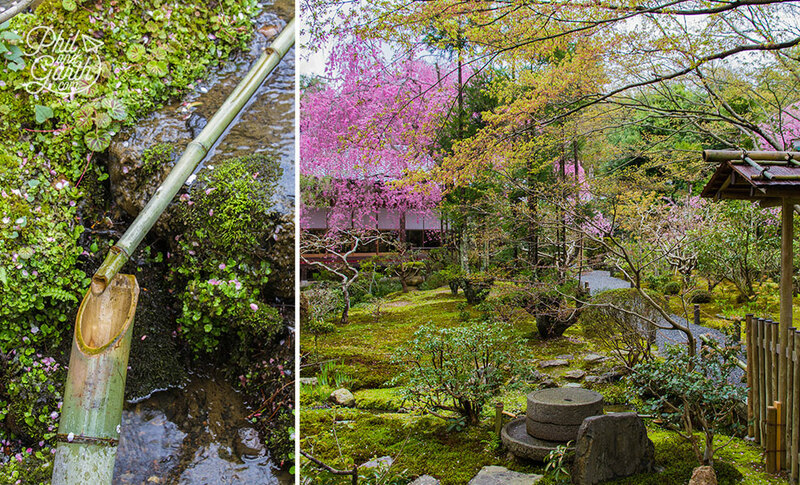 It also features a very large pond set in lush gardens, and looked incredibly beautiful in the spring when we visited. The walks we had in this area were really special, so scenic! 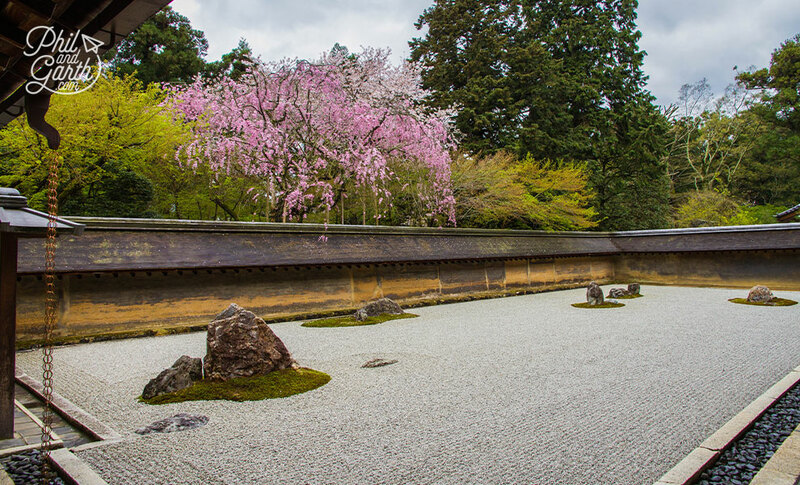 Strolling around the temple’s gardens keep an eye out for stunning designs, and beautiful details such as cherry blossom petals against typical mossy covered floors, so inspirational! We also spotted a lovely bamboo water chime which sea – sawed as it filled with water, the sound is used to scare animals away. 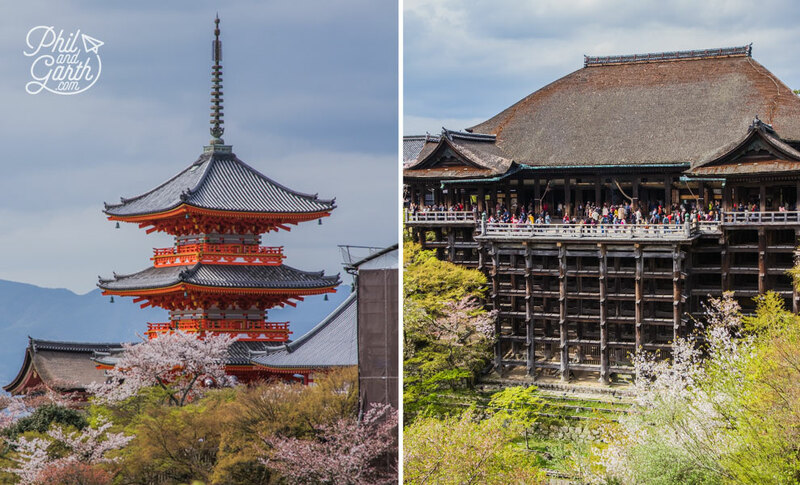 Next up was the grand Ninnaji Temple, originally the summer home of the Emperor, features an enormous Sanmon gate, this is where Yoshiko taught us the etiquette of entering temples. You should bow first and enter with your left foot first and exit with your right foot first – shows humility. Inside we were lucky enough to see some monks too. More stunning garden designs here too – different raked patterns in the dry landscape garden, so immaculately done! We also checked out the main hall, and their five storied pagoda, but our favourite bit was about to come..
Ninnaji is also very famous for its late blossoming Omuro Cherry trees. We we’re so lucky as we arrived on the day the tree lined grove opened, a TV crew plus dozens of people were there to see them in full bloom. 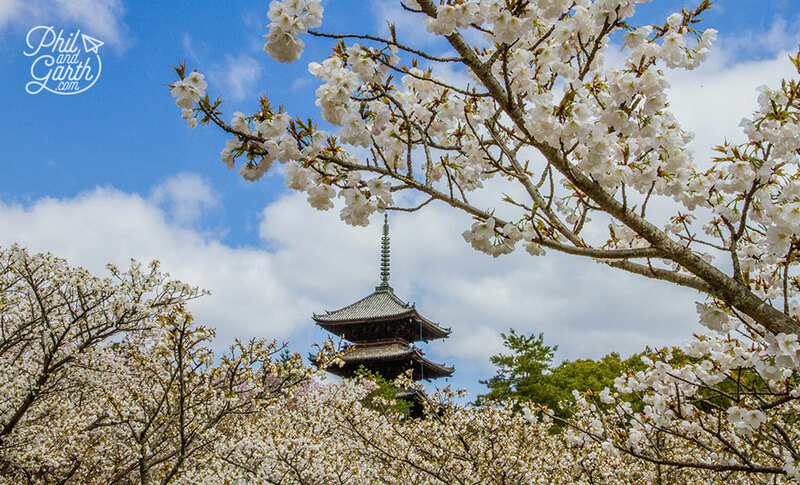 The trees are uniquely low branched and have a distinct creamy white blossom – It just looked spectacular combined with the Ninnaji pagoda in the background. The Japanese were so kind here too, offering to take photos of us. The above photo is my favourite cherry blossom picture we took, if only we had taken up their offer and put ourselves in the shot! 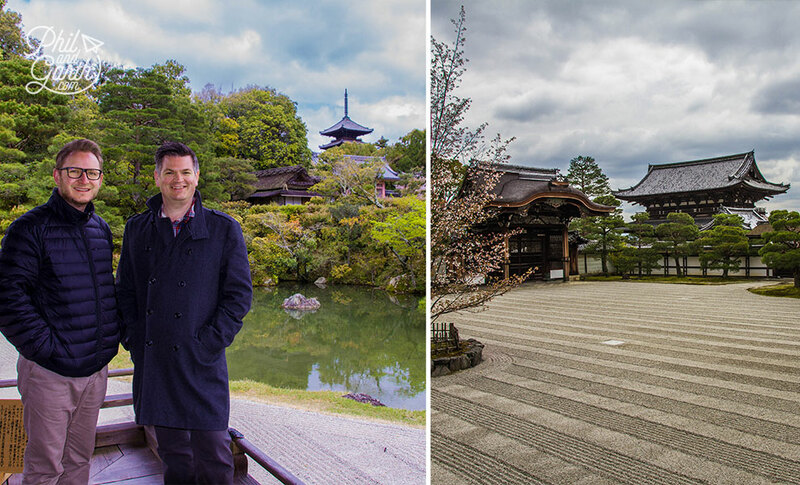 Next we headed to Arashiyama and just off the main street is Tenryu-ji Temple, most famous for its Japanese garden. This one combines lots of techniques in one place – dry landscape, rock garden, ponds, and the borrowed landscape technique again, it’s considered to be one of the best examples in Kyoto, even though amazing its amazing, we thought others like the Nijo-jo Castle more interesting. The Bamboo Grove is what Garth really wanted to see in Arashiyama and it’s right next to the Tenryu-ji temple, so after you’ve taken a stroll through the temple’s other buildings and garden, take the short cut to the grove. We’ve all seen images in magazines, as it’s easily one of the most photographed sights in the world. We couldn’t quite believe we were there, there’s nowhere anywhere like it, like entering another world, where huge thick bamboo trunks soar high above you. I think it’s the most beautiful forest in the world we’ve ever seen. As we headed out of the bamboo grove, we had lunch and great sushi next to the town’s Togetsukyo Bridge. Arashiyama is quite charming, and great wandering around the little tea shops, personalised chop-stick shops and lovely ice-cream! green-tea flavoured of course! 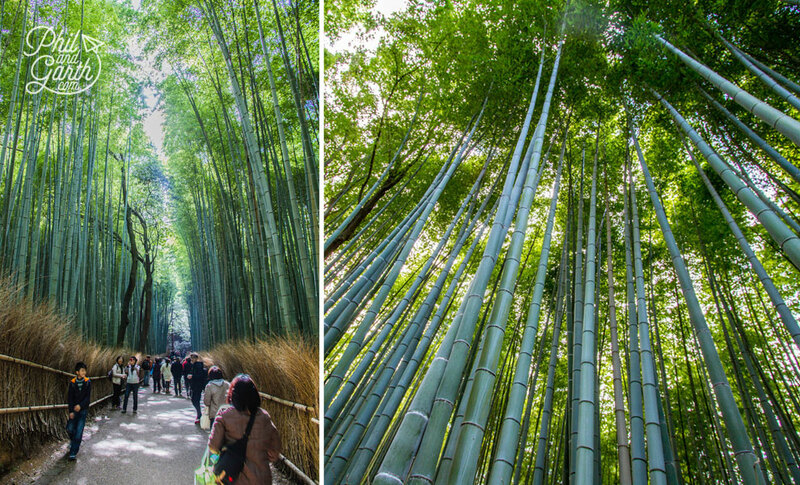 As we left Arashiyama, Yoshiko showed us another little gem – another forest! 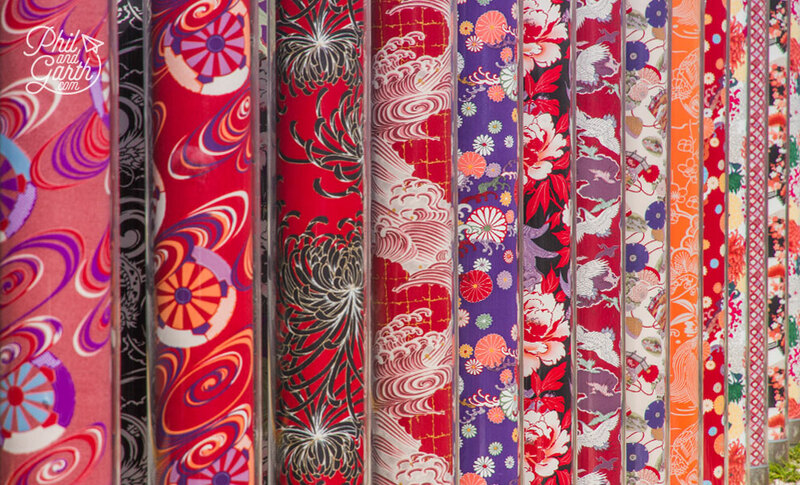 it’s called the “Kimono Forest” and based at the Randen train station. There’s about 600 plastic tubes containing wonderful dyed fabrics, apparently they look good at night all lit up. By this time in the day we we’re a bit templed out and tired! but Yoshiko’s energy and enthusiasm kept us going! But this place is great, the most decorative of all places we’d seen. Built in 1603 as the official Shogun Palace when they ruled between 1603 – 1868. The Palace is famous for its ‘nightingale floors’ which are designed to squeak, so guards were altered to intruders. As we walked through with the rest of the tourists in our socks, the sound of the floors we’re chirping like dozens of nightingales. Inside the residence you learn how the Shoguns trained, how the guards looked after their safety and how Geisha entertained them in their living quarters. Inside the Palace is quite dark, which is why the Geisha painted their faces white so the Shogun could see their true beauty. The paper screens and walls are decorated with superb paintings, they are real masterpieces of Japanese art, a real delight to see them up close. See if you can see the secret panels behind which the guards would sit behind, ready to pounce if the Shogun was in trouble. The whole Palace is in superb condition, given it’s age. 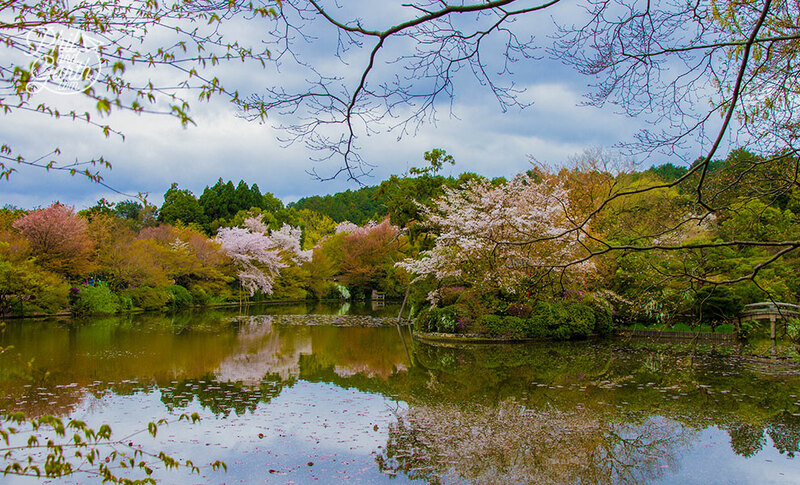 The grounds have a few gardens but our favourite was the Ninomaru Garden. Another striking landscape featuring a large pond, with 3 islands with dozens of ornamental stones and manicured Pine trees. As you wander out of the castle, you can’t help but feel a calming atmosphere as you wander along groves of century old Cherry and Plum trees which look old and twisted. Kyoto is also famous for Geisha. 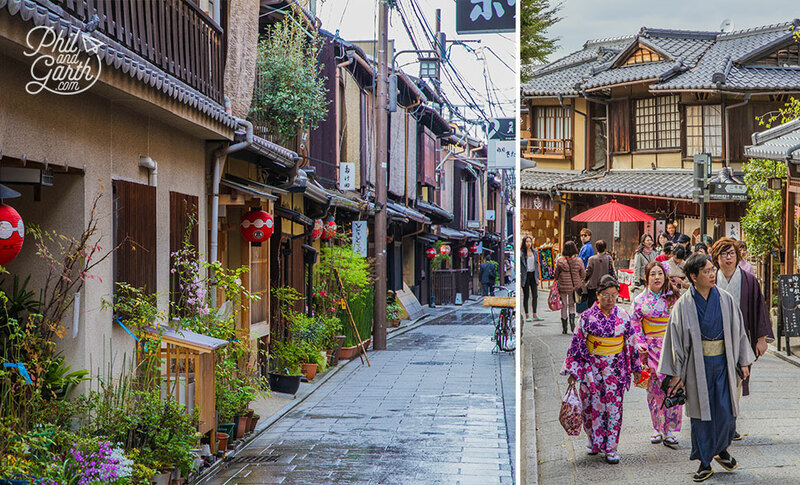 We headed to Gion, an area where you may catch a glimpse of a Geisha. Sadly we didn’t but we did see plenty of Japanese and tourists dressed in Kimonos. It’s a lovely area to simply wander it’s narrow streets and admire the old wooden teahouse buildings where they entertain. 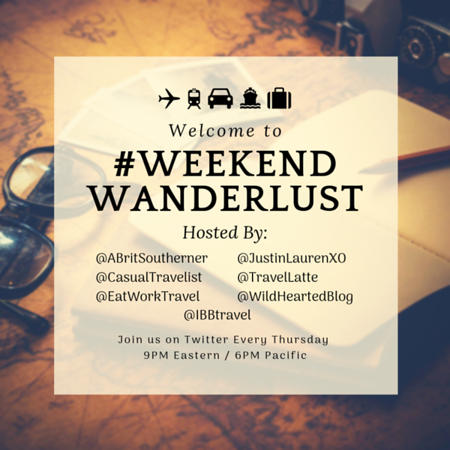 We knew when we booked the holiday, we wanted to make sure we saw a real Geisha. 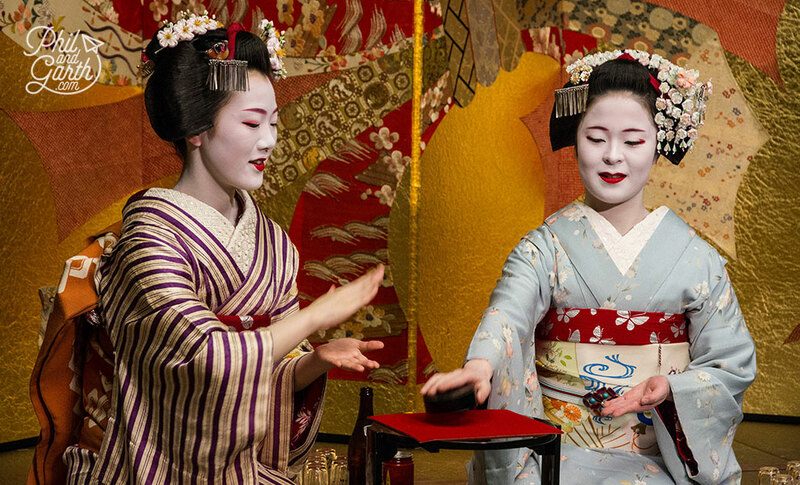 We booked a dining experience with a Geisha at Gion Hatakana. We did this months in advance to secure the night, as it’s infequent. The Geiko and Maiko make sure your glasses are never empty of Sake or beer. Everyone got a turn to ask the Maiko any questions about their working lives via a translator too. Phil found out that they sleep with a wooden pillow frame to keep their hair looking perfect, which they only style once a week. 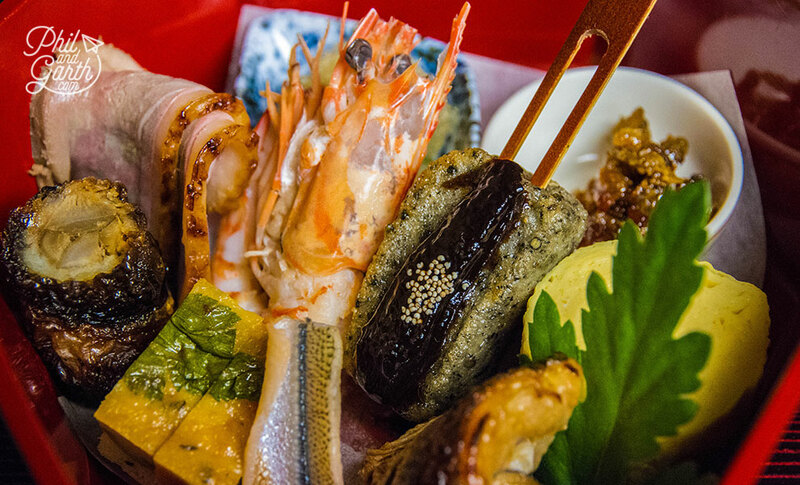 The meal at Gion Hatanaka was amazing too, Snapper sushi, Sashimi, Tempura, and a steamed tofu soup with spinach, to name a few of the dishes, the dishes in true Japanese style were works of art, aswell as being delicious. It was expensive (remember we are fabulous!) but worth every penny for a once in a lifetime authentic experience. We were still buzzing as we wandered our way back to our hotel after an incredible day of culture in Kyoto. The following day we set off on our own, armed with lots of knowledge from Yoshiko who gave us tips on what to do! Our first stop was Kiyiomizudera a Unesco World Heritage Site and famous for the main hall with its large wooden veranda that juts out into the countryside, the structure is unbelievably built with no nails. The grounds house various buildings including Otowa – a small waterfall into a pond which people drink from long handled metal cups for good health. 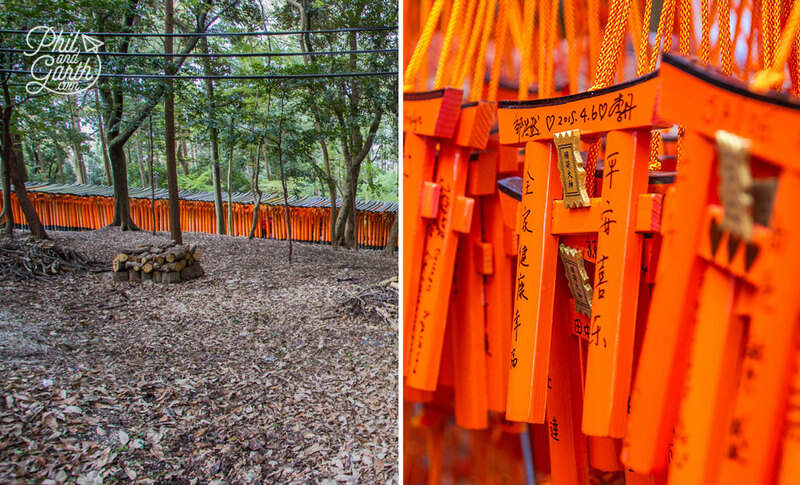 There’s also a shine, dedicated to god of love – Jishu Shrine, popular with young Japanese which as 2 love stones. You have to walk between these love stones with your eyes closed, if you can make it un-aided then you will find love. 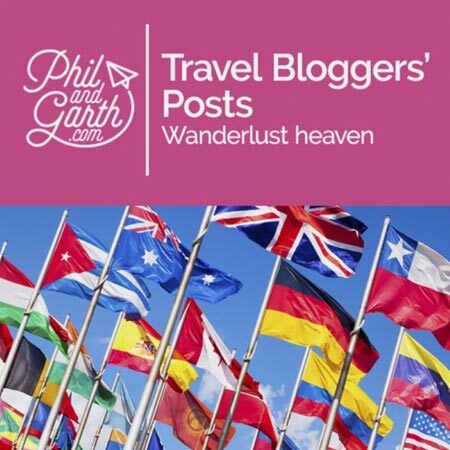 Phil did it, but bumped into a tourist coming the other way, What does that mean?! 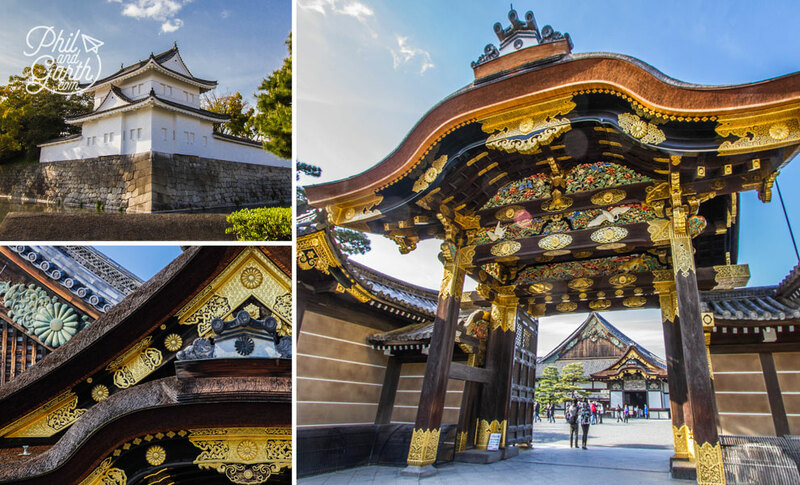 Before you get to the main hall you enter through a really impressive Sanmon gate – the Nio-mon Gate It’s bright red. Just around the corner is a three storey pagoda dating back to 1633, great place to watch people walk by in their kimonos and take photos. Getting there we took an alternative route accidentally, which led us walking past a huge cemetery, which was really interesting, one of those happy accidents which offers you a nice surprise when you head off the beaten track. After the Temple, we headed down the hill, the street is packed with souvenir shops, restaurants and people! We enjoyed browsing here and had one of our best meals, lots of little sushi and sashimi dishes, bit like an Indian thali. For dessert we wandered down the street and found a bakery that seemed really popular with the Japanese selling all kinds of custard pastries, some piped with green custard! 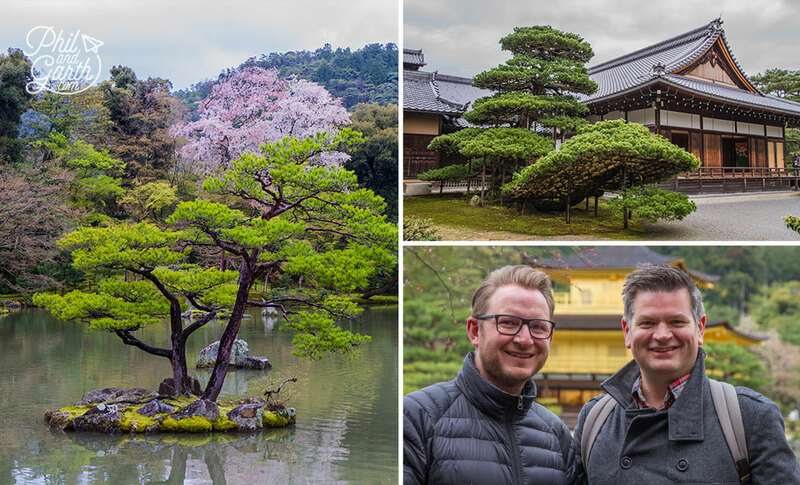 This was easily Garth’s Kyoto highlight, but be warned in the Spring it’s incredibly busy with tourists, so we went twice – back early in the morning to appreciate it quieter. 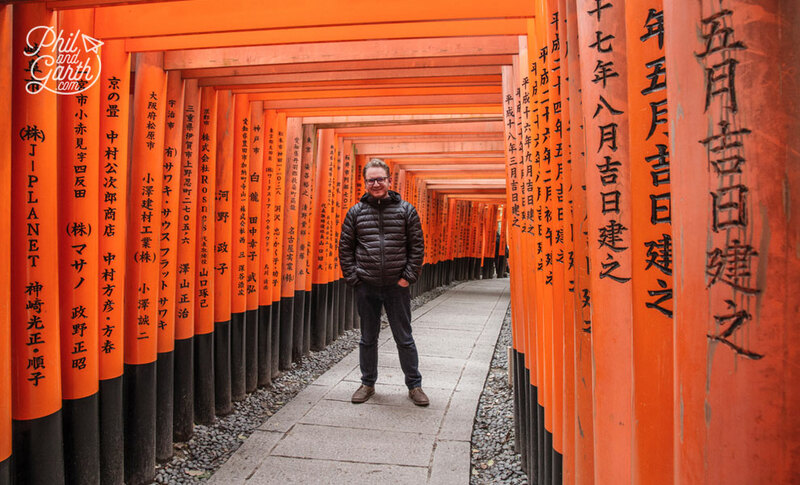 Fushimi Inari features thousands of vermilion torii gates packed tightly together in two rows, creating two tunnels that lead to a mountain trail of a 2.5 miles which takes a few hours. It’s simply an amazing sight and incredibly atmospheric! 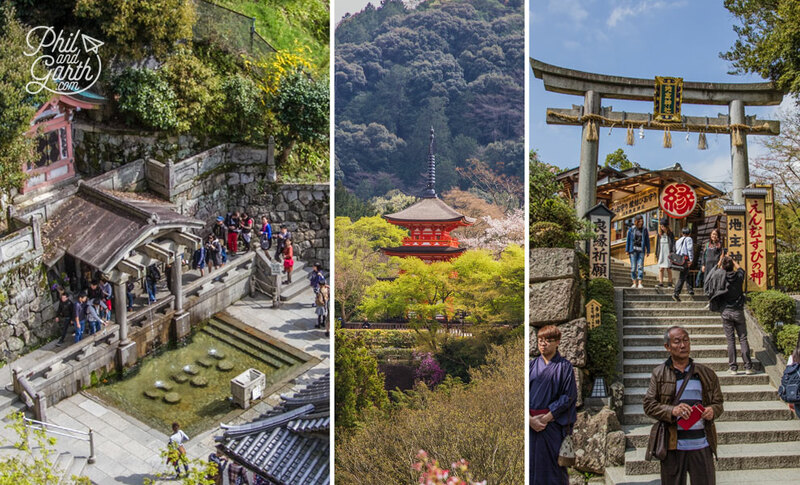 If you had to choose just one shrine to visit in Kyoto – then go here! 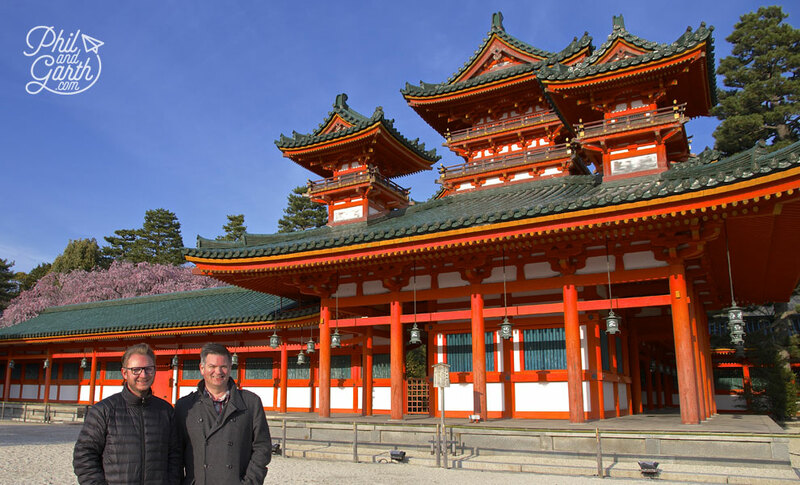 The shrine is dedicated to the god of rice and prosperity so torii gates are sponsored or ‘donated’, inscribed with names of individuals and businesses in the hope for success in their business – nice subtle advertising! The whole place has a magical quality set amongst the trees, and of course makes for amazing photo opportunities! On the way out of the shrine head to the right where there are dozens of little stalls selling lots of small cooked delicacies, and good luck charms and impressive souvenirs. 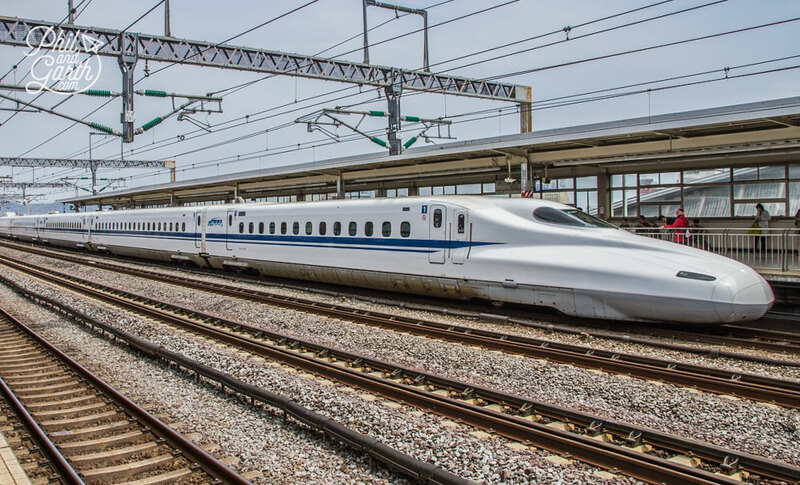 We took the Shinkansen bullet train from Tokyo using our Japan Rail Pass. It’s best to book a seat reservation in advance, we found it a little tricky in Tokyo finding the a station to do this, as not all stations offer Shinkansen seat reservations. But the journey itself is brilliant, really comfortable and fast!! Be sure to buy a Bento box at the station, there is a huge variety with a range to suit all budgets. They look beautiful, like little works of art and are great fun trying to work out what each thing is! Tip #2: Pick just a few temples in advance, otherwise you’ll get ‘all templed out’ as we did. 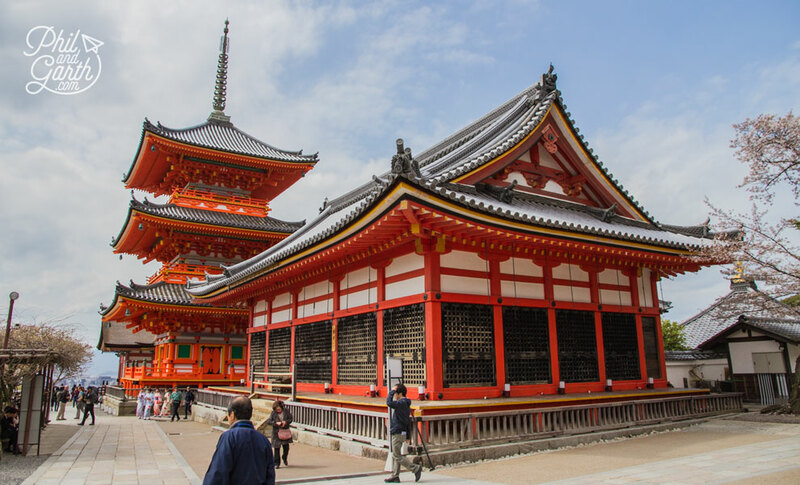 Tip #3: Wear comfortable shoes if visiting the whole of Fushimi Inari Shrine – lots of steps! 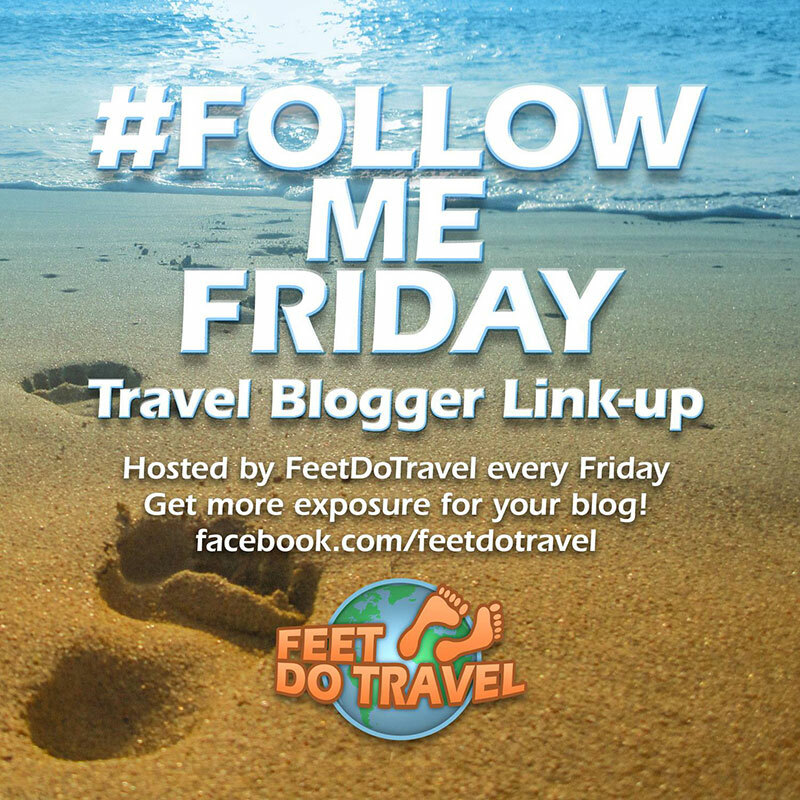 Tip #4: Wear decent socks! shoes must be taken off for entering temple buildings. 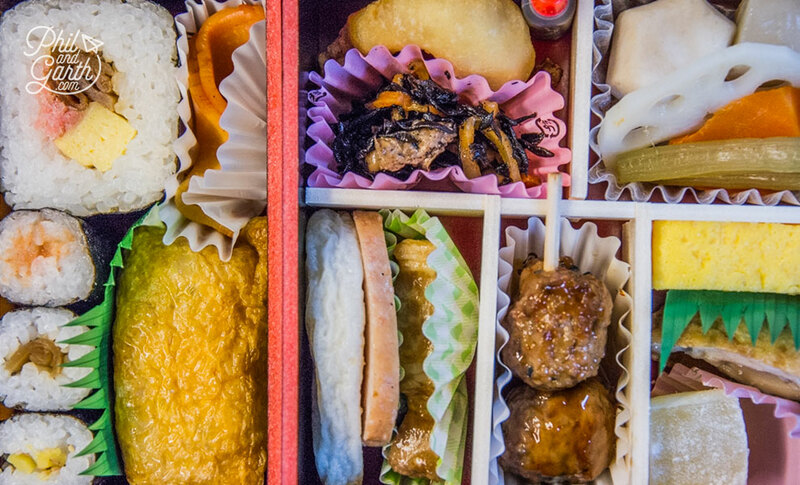 Tip #5: For cheap eats – Bento boxes are a must!